Our Forklift course is for those who need a High Risk Work Licence for forklift (LF class) issued from WorkSafe WA. Our forklift course is delivered in 1 day – to achieve this there is mandatory pre-study that must be completed before you attend. Everyone learns at a different pace, so how much time you need to complete the study will depend largely on you, your learning ability (how quickly you learn and retain information) and whether or not you have experience operating a forklift truck. Book a course date that allows enough time for you with your learning ability to learn the content of the pre-training exercise. 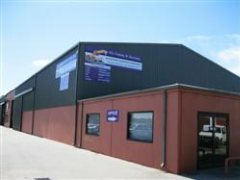 The course is conducted at our training venue in Rockingham – Unit 1, 8 Day Road, East Rockingham, Western Australia. We are that confident in our training materials and the ability of our trainers that we offer A FULL, NO QUESTIONS ASKED, 100% MONEY BACK GUARANTEE if you don't pass the tests to get your qualification. Try and find another training centre that will match that - we bet you can't! Why do we offer this? It's simple - you are forking out your hard earned cash and putting your faith into our trainers and our training materials. How can you be sure we are good at what we do unless we put our money where our mouth is? That's why we do it - we believe our trainers and materials are that good. We recognise that not everyone learns the same way, or at the same speed. That's why we are different - take the time that YOU need, to learn the way YOU feel is best for you. Oh, don't think we just pass everyone to avoid having to give money back, it doesn't work like that. You still need to put the effort in. If we think you aren't putting the effort in, we'll refund sooner (most likely after the 1st attempt). Do we lose money because of this - absolutely we do - but at the end of the day, we have a strong reputation for our quality training courses and that's the way it will stay. All this talk is great, but what does the training centre look like? 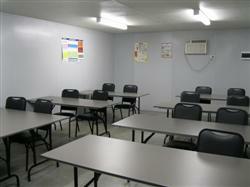 Here are a couple of images to give you an idea of the environment you will be doing your training in. 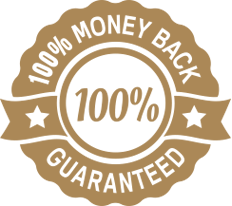 You are fully protected by our 100% Money Back Guarantee. If you don't get your qualification within 3 attempts, we'll give you a refund with no hard feelings. ​We run our Forklift Course so that you can spend less time in the classroom and more time on the things you want to be doing. Be wary of the training centers that are more interested in your money than your time! 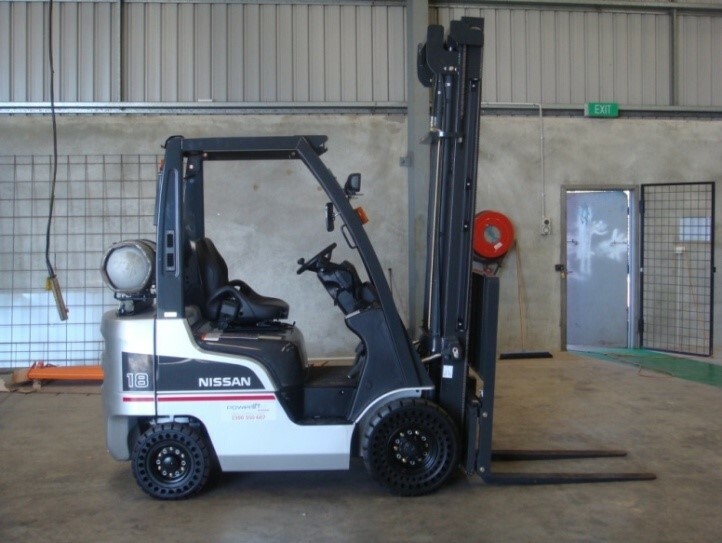 Our Forklift Course is recognized Australia wide - it means you get the WorkSafe issued High Risk Work Licence that you need to use an Forklift legally. Here's how we do it - we send you the learner guide to work through and study at your own pace. We’ve even highlighted the parts that are really important, by doing this study first, you spend a lot less time in the classroom! On the day of your Forklift Course, you come in and do a bit of revision with the trainer - after that, you do a maths test and a written test. From there, you go out on to the Forklift and have some practice - after that you do the driving test. Once you’ve passed the 3 tests, you get your certificate and an interim license you can use for up to 8 weeks while WorkSafe issue your real license. We send all your paperwork to WorkSafe for you, so you don't have the hassle of having to find a post office, buy stamps and all those things! The most common question we get asked is what happens if I don't pass - it's really simple with us - we give everyone up to 3 goes without you having to pay any extra. Watch out for the places that don't offer the same, there's plenty of them around. If that covers what you need to know, choose a date that suits you to start the process. If you want more info, give us a call on 08-7078-8171 because it is important to us that you are 100% comfortable before you make a booking.